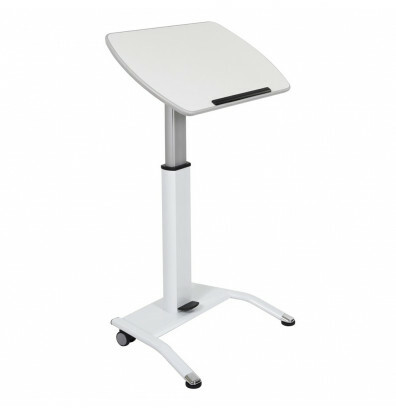 Amplivox pneumatic height adjustable lectern adjusts with just a touch of your foot for use as a sit-to-stand desk. 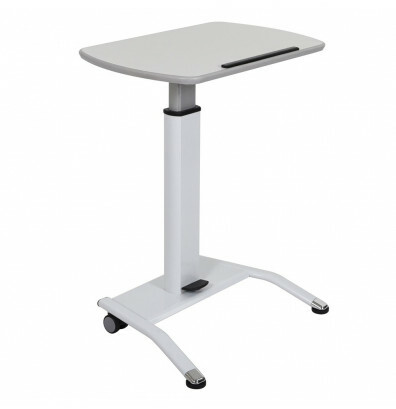 Amplivox pneumatic height adjustable lectern is a versatile worksurface and sit- to-stand desk. 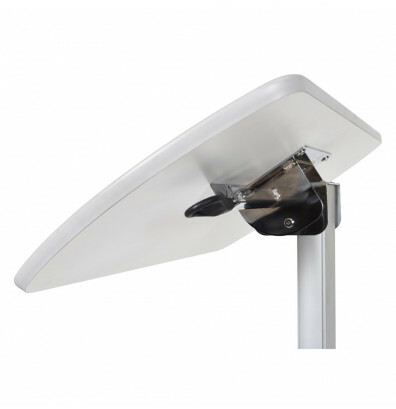 Pneumatic foot pedal easily adjusts height from 28" to 42.5" H. Spacious worksurface tilts to 10°, 20°, 30°, and 90° using locking adjustment lever. 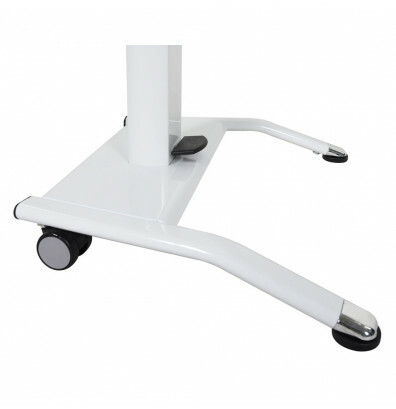 Easy mobility with two 2" casters. Rubber feet for stability. Ships ready to assemble.